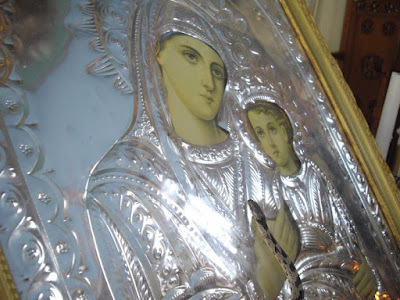 Just as every year, from the feast of the Transfiguration of Christ till the feast of the Dormition of the Theotokos, or from August 6th to 15th, snakes appear in a wondrous manner in two villages of Kefallonia with chapels dedicated to the Dormition of the Theotokos, in Markopoulo and Arginia, that appear to worship among the pilgrims who flock to these chapels, and venerate of their own accord the icon of the Panagia. It was reported that yesterday evening two snakes made their appearance in Markopoulo, when last year only one made its appearance in Markopoulo and one in Arginia. At their appearance, the bells rang joyfully to announce their arrival. There are no reports yet of an appearance at Arginia. It is expected that more snakes will make their appearance in the coming days.